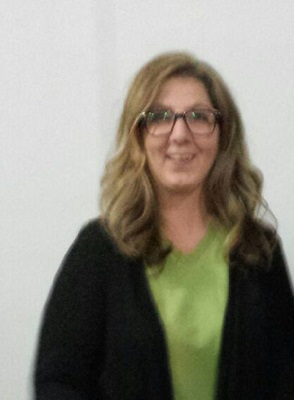 Monday evening, at their regular city council meeting, the La Harpe City Council approved the resignation of their current City Treasurer Crystal Graves, as of March 31st. Mayor Kat Hasten Reed nominated Maggie Link of La Harpe as the new City Treasurer. The council unanimously approved her appointment. Eric Moe, City Engineer with IMEG, informed the council that they (the city) have been invited to make a full application to Rural Development for the water project. In discussing land options for 2 wells, Mr. Moe noted the first well could be put on the site of the water plant on Main Street and that there is a second property, owned by the city, which could be used as a site of the second well which is by the lot that the city shed sits on. Clover asked and Moe agreed the city should be able to put the 2 wells on the city ground and not have to purchase any lots. The council also discussed and approved Wood Tax Service to take over the employee payroll which would also include handling W2s, 1099s, retirement plans, and quarterly reports and employee checks. The council discussed and approved fishing rules and daily limits at the city reservoir. Bass: Under 15" catch and release, and can have 1 over 15"
No ice fishing or hunting. Violation penalty will be up to $500. The council discussed selling some obsolete items and use the monies toward the purchase of a new zero turn mower. The Council decided to get a list of items to sell for the council to look at for the next meeting. Police Chief Larry Finch informed the council that Kenny Foster had completed his 2 week transition training and could now become full-time deputy. Chief Finch also noted that Marlie Burt had completed her 40 hour gun course and can officially work alone. Dave Clover brought bids for 6 different trees which needed removed, of which five were at the cemetery. These items are to be on the agenda for the next meeting. The city council approved Ordinance 2018-8 (ordinance to adopt code of city ordinances). Present at Monday night's meeting were Aldermen Greg Wisslead, Brian Covert, Dave Clover, Jerry Burford, and Ryan Olson present along with Mayor Kat Hasten Reed, Clerk Lucretia McPeak, Treasurer Crystal Graves, and Attorney Chris Scholz. Alderman Randy Shumaker was absent. Also present were employees, Tim Graves, Monalisa Graves, Trevor Finch, Larry Finch, Marli Burt, Eric Moe of IMEG, and Richard and Donna Wood, Maggie Link, Chad Burt, ESDA Max Owsley, Dan Gillett and Michael Rodeffer. The council approved the treasurer's report and bills. The Council adjourned at 7:54 p.m. and will meet again Monday, April 9, at 7:00 p.m.